Pickup trucks are more than just a big engine and a sturdy bed these days, and a new list from autoMedia.com breaks down the best cars in the segment to help buyers find the truck that fits their needs. 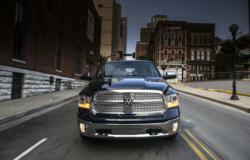 The article, Top 10 Pickup Trucks To Buy In 2013, examines pickup trucks of all sizes to recommend the best ones available on the market today. Here in the United States, pickup trucks still dominate auto sales. A good one can turn into a cash cow that keeps a company afloat, and a bad one sends engineers hustling back to the drawing board. The good news for customers is that there are more and more great pickup trucks available every year, and the current wave of 2013 and 2014 models elevates the game to a new level. The autoMedia.com articles sorts through the biggest names in the pickup trucks segment and selects the ten best buys, based on traditional truck priorities like durability and value but also more refined qualities like luxury and driving dynamics. The list features the most recognizable names in the pickup truck segment, alongside newcomers and imports out to prove that they have the mettle to make great pickups, too. At the top of the heap are the Big Three domestic automakers. The Ford F150 is an American icon, but the Ram 1500 earned its 2013 Truck of the Year award and the new 2014 Chevrolet Silverado carries high expectations into its summer release. In this day and age, however, everyone wants a piece of the pie. Mid-sized pickups also have the Toyota Tundra and Nissan Titan to offer, plus the versatility of the Honda Ridgeline crossover pickup. And when it comes to compact pickups, the hunted have become the hunters, as the Nissan Frontier and Toyota Tacoma have emerged as excellent choices. “There is a lot to choose from, and autoMedia.com is here to help pickup buyers make the right decision,” said Hamlin. Keep checking autoMedia.com for the latest news, photos and analysis from around the automotive industry. About autoMedia.com: The auto website was launched in September 2000 by a team of automotive editorial, design, and publishing professionals, with the goal to be the premier provider of quality automotive content on and for the Web. Today it features over 92,500 pages of original articles, including over 2,500 features researched and written by leading automotive experts, covering new and used car buying, new vehicle previews, road test reviews, car care maintenance, professional driving advice, and technology. Automotive enthusiasts and new car shoppers can read about the latest industry news, pricing, rebates and incentives, view photo galleries and research details on all makes and models. For more information, visit autoMedia.com.